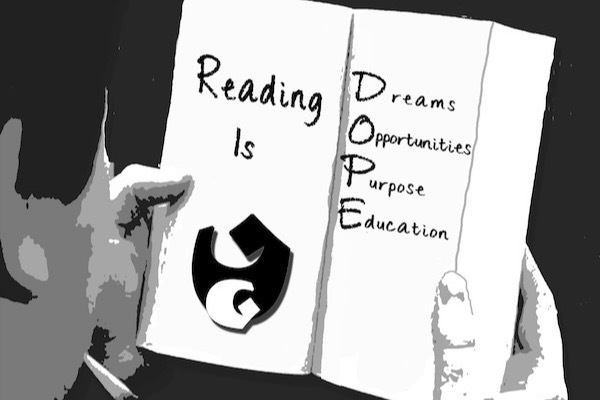 Fundraiser by TaMonte Whitelow : Reading Is D.O.P.E. Reading Is D.O.P.E. is a reading advocacy program sponsored by Guilla Boyz Entertainment, LLC and Guilla Gear Apparel along with other vendors. We designed the program to promote and demonstrate the benefits of reading in a fun and enthusiastic way to students ranging from grades 6-12. We will host different awareness and fundraising events at different locations, including middle school and high school locations, and public libraries, etc. The purpose of the program is to advocate literacy and build excitement around learning and researching new facts to those in our target audience. There’s a need for different literacy programs in the region that involves students in this age group. We are raising money to finance these events and programs. Be the first to donate! !